Heat the extra virgin coconut oil in a wok or large skillet over medium heat. Stir in the garlic, and cook for a few seconds until it begins to brown. 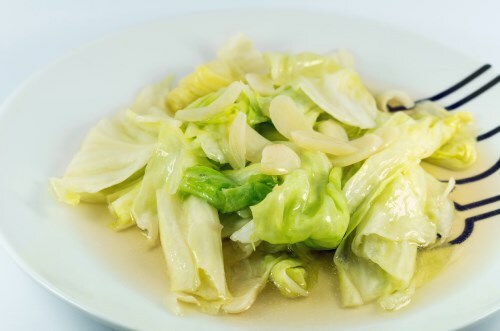 Stir in the cabbage until it is coated in oil; cover the wok, and cook for 1 minute. Pour in the soy sauce, and cook and stir for another minute. Increase the heat to high, and stir in the Chinese cooking wine. Cook and stir until the cabbage is tender, about 2 minutes more.